Imagine you witness an accident, and try and continue with your life without thinking about what happened that night. But what people may not know is that you actually committed a murder. It might seem far-fetched, but this is the plot to one of the episodes in Black Mirror, season 4. Shazia, who is an insurance investigator, is on a mission to find out what happened to the guy that was hit by a pizza delivery robot-car. She follows a chain of witnesses near the accident without determining liability as none had witnessed it directly but, there is one witness, Mia, who's memories show something untoward... she killed a friend in her hotel room that very night. The moral of the story is, Shazia uses a device known as a Recaller, that scans their memories to see what has happened that very evening the accident took place. Now, try and imagine someone scans your memories and can see everything that is happening in a vivid way. What would you be guilty of? 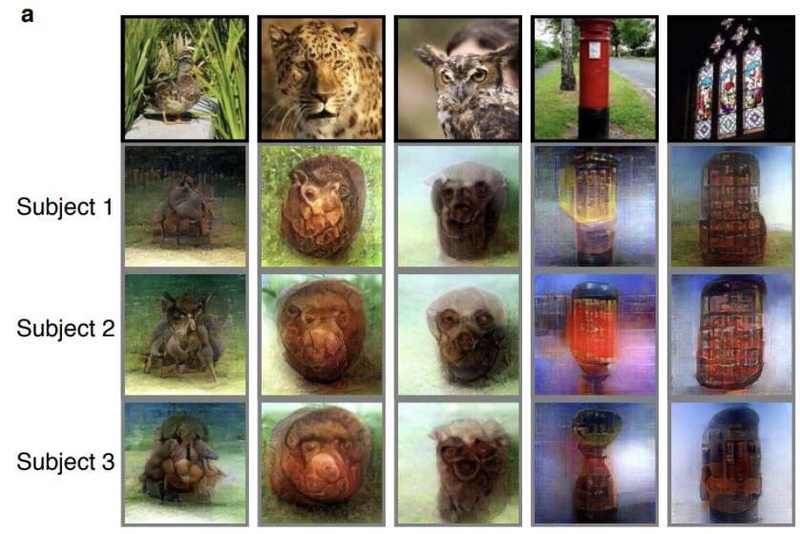 A team of researchers say they have used machine-learning to recreate images in people's brains, from pictures subjects were looking at, to things they remember seeing. The research, which has not yet been peer-reviewed, was conducted by a team of scientists at the Kyoto University in Japan, led by Yukiyasu Kamitani. Using functional magnetic resonance imaging (fMRI), the team said they were able to reconstruct images seen by our brains. 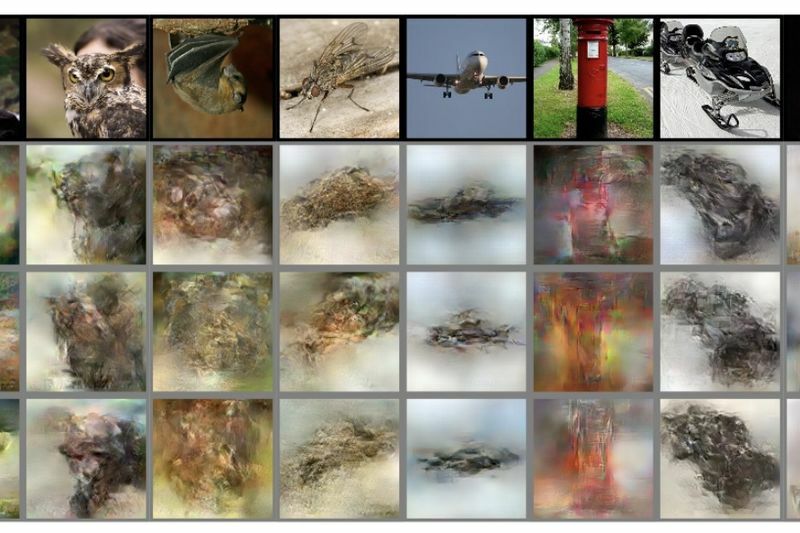 By reading the paper, available on bioRxiv, you get to see that a number of images were presented that were recreated by the artificial intelligence, which is known as a deep neural network (DNN). Each image was recreated pixel by pixel by the DNN, generating images that resembled the original images. "The results suggest that hierarchical visual information in the brain can be effectively combined to reconstruct perceptual and subjective images," the team wrote in their paper. The research builds on earlier work by the same research team, that found that brain activity patterns could be decoded into signal patterns. Other researchers have reported similar work in this field. "This is a significant improvement on their earlier work," Professor Geraint Rees, a neuroimaging expert from University College London, told The Times. The team's latest research paper used three subjects (two males aged 33 and 23, and one female aged 23). The subjects were shown images of lings like a post box, a lion, and some geometric shapes and alphabetical letters. The images were projected onto a screen in a fMRI scanner, with the heads of the subjects secured in place with a bar for them to bite down on. Each subject then took part in multiple scanning sessions, each lasting a maximum of 2 hours, over 10 months. Each individual would stare at each image for a number of seconds before having a rest in the first experiment. In the next experiment, they had to remember one of the images they had seen previously and picture in in their mind. 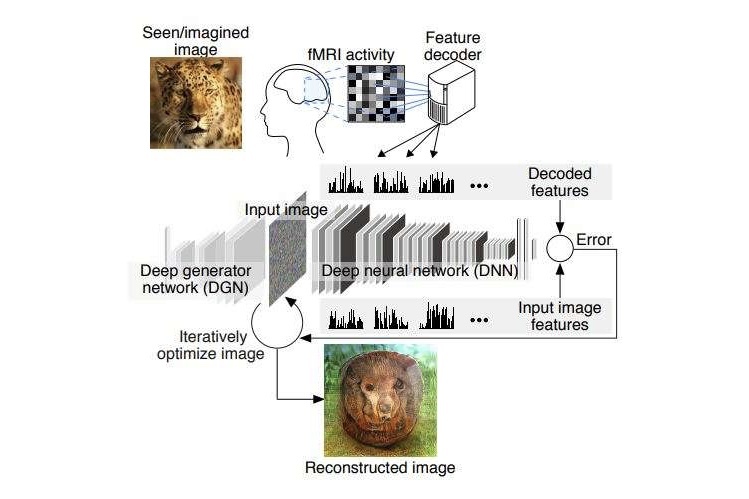 By using the DNN, the researchers then attempted to decode the signals recorded by the fMRI scanner in order to produce a computer-generated reconstructed image of what the participants saw. The results were indeed remarkable, with the DNN able to reproduce images of a DVD player, feet wearing socks, a fly and more. The only thing is that it wasn’t too hot on other images, like a person with a cowboy hat or a snowmobile, but the results are impressive nonetheless. "Our approach could provide a unique window into our internal world by translating brain activity into images," the team noted. Have a look at the video below to see how the computer reconstructs the original image. Video: Dronestagram Winners Take Photography To The Next Level!